by Mardi Michels of eat.live.travel.write. In the crazy-busy back to school season, I (as a teacher) appreciate quick light meals that I don’t have to spend a long time preparing when I get home. 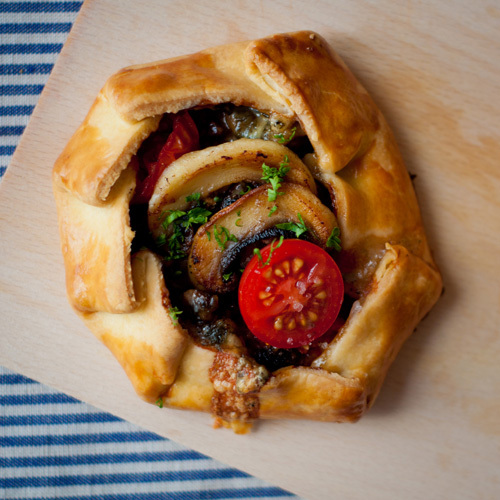 If it’s one that looks like I have spend hours in the kitchen, well that’s a bonus and that’s what I love about this dish – mini mushroom galettes featuring sweet cherry tomatoes, sharp Roquefort cheese and walnuts – sounds fancy huh? Well, while these “adult flavour” mini galettes with mushrooms include other ingredients that might not please younger palates, this is a dish that can absolutely be adapted to anyone’s tastes – meaning, you can customize each galette depending on what you have on hand and according to everyone’s likes/ dislikes – what could be better? And hey, you could always make one large sized galette for everyone to enjoy! The possibilities for this dish are endless in terms of fillings but one thing’s for sure – you’ll definitely want mushrooms to be the star! 1. Preheat oven to 400˚F / 200˚C. 2. Roll out pastry dough and using a bowl approximately 14-15cm in diameter, cut out four rounds. Do not force or stretch the dough. Transfer the dough to a baking tray either lined with parchment paper or a Silpat. 3. Place the cheese in the middle of each pastry round, leaving about 2cm around the edge of each round. 4. Sprinkle each pastry round with a tablespoon of the chopped walnuts. 5. Place about 8 mushrooms’ worth of slices on top of the walnuts, pressing into the cheese/walnut mixture. 6. Place 3 cherry tomato halves on each pastry round. 7. Fold over the edges of the dough (making 4-5 folds, one fold at a time) and pressing lightly on the corners to gently seal the galettes. 8. Brush the beaten egg on the dough border. Bake for 30 minutes or until crust is golden brown and the cheese melted. 9. Meanwhile, sauté the remaining mushroom slices in the butter. Drain on a paper towel and set aside until the galettes are cooked. 10. When the galettes are cooked, remove from baking tray to a cooling rack and cool for about 5 minutes. 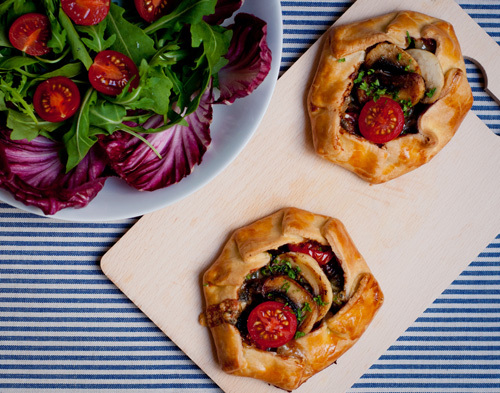 Place the sautéd mushroom slices on each galette and serve warm with a green salad. 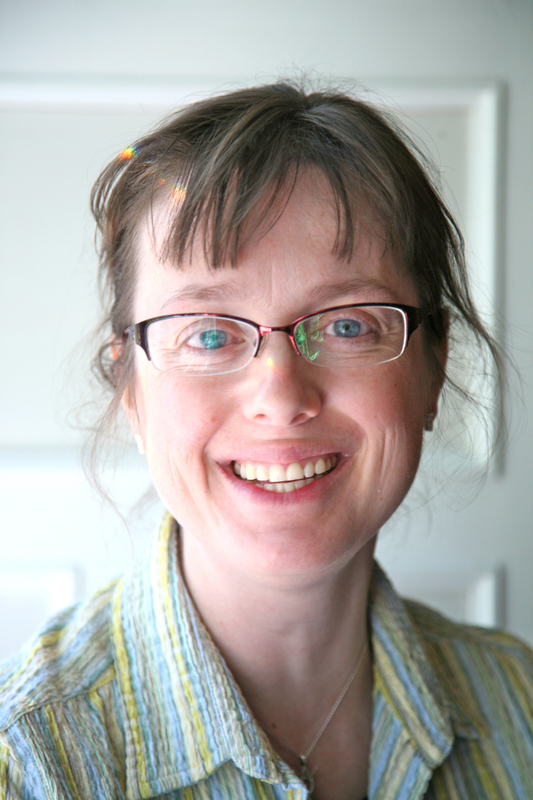 Mardi is a full-time French teacher to elementary school-aged boys and the author of eat. live. travel. write – a blog focusing on culinary adventures near and far. She has lived and worked as a teacher in Australia, Hong Kong, England, France and now calls Toronto home. As part of her job, she runs a cooking class once a week for 8-11 year-old boys, Les Petits Chefs. She’s also a cook, baker, traveller, photographer, Food Network Canada contributor and Food Bloggers of Canada co-founder and in her spare time (!) teaches French pastry classes around Toronto.